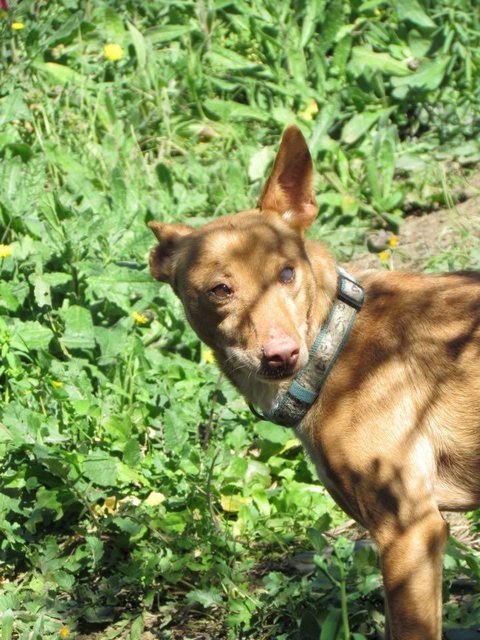 Manolito is a 6-7 year old male Ibizan Hound (Podenco). 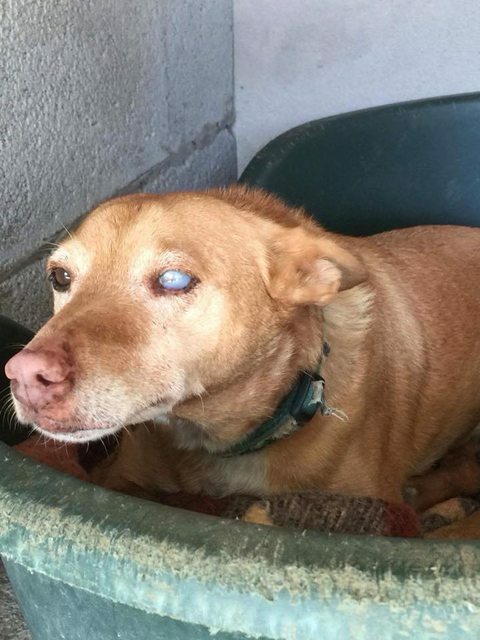 Super sweet Manolito was brought to a shelter in Spain by one of their volunteers. He was chained in a yard for many years, and it was clear that he was suffering for Leishmaniasis. His owner did not want to treat him, and after lengthy conversations he agreed to sign him over. He received treatment straight away, and the difference was remarkable – he is now symptom free and only take one tablet per day (this will need to be continued). He is blind in one eye. 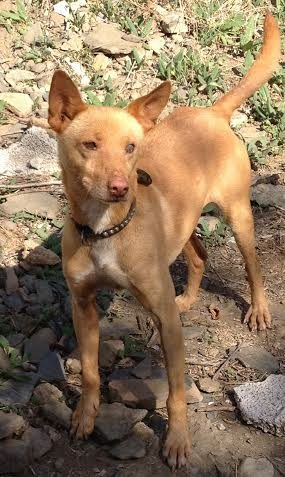 Manolito is a friendly boy, but slightly shy when he first meets someone. He has a regular routine where the shelter staff call him and he runs up for a cuddle, then he runs back a few metres and does a little dance before running back for another cuddle about 3 or 4 times in total. He is an active boy as is true to his breed, but after a play he loves nothing more than to lay down sleep and watch everything that is going on in the shelter. He gets along with other dogs, and is quite submissive.